On Monday, October 29, 2018, Thomas Rees moderated a Montgomery Bar Association (MBA) seminar entitled, “The Intersection of Child Custody and School Law,” in Norristown, PA, a city located in the Greater Philadelphia Area. The seminar discussed a list of issues related to education law that may be of concern during child custody disputes. A panel of family attorneys and education law attorneys, including Thomas Rees—a High Swartz attorney—addressed issues directly related to children, parents or guardians, and schools, during child custody disputes. Some of these issues included custodial rights and educational decision-making, student residency, access to the child or student, student records, the subpoena of school employees, and the implications of dealing with difficult or disruptive parents. Thomas Rees is the head of the litigation and employment law practice at High Swartz, a full-service Greater Philadelphia Area law firm. 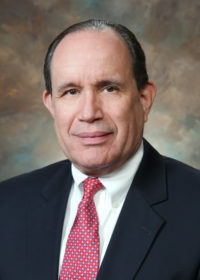 The primary focus of his practice is litigation and non-litigation matters in employment law and private education law. His experience in education law is extensive and includes the representation of several independent schools in the Philadelphia area on employment, student discipline, contract, governance and tax exemption matters. The High Swartz education law practice provides a full range of legal services to educational institutions in the Greater Philadelphia Area.